Make It Take It is a different way to network, catch up with friends and see the new WMCAT space on the Westside - all while supporting a culture of opportunity at WMCAT. By attending Make It Take It, attendees will directly increase equitable outcomes for our students and their families here in West Michigan. Make It Take It is not an event to stand around and wait to meet people, but one that mixes creativity and networking into a casual happy hour. This completely hands-on experience offers access to WMCAT's arts and technology studios where attendees will be encouraged to make their own art. Staff will guide guests through studio projects. And remember, creations go home with attendees - after all, that’s why it's named Make It Take It! Get ready to hear vinyl beats from Grand Rapids Soul Club, taste some unique appetizers from various local establishments, and enjoy a complimentary drink. Additional drink tickets will be available for purchase. 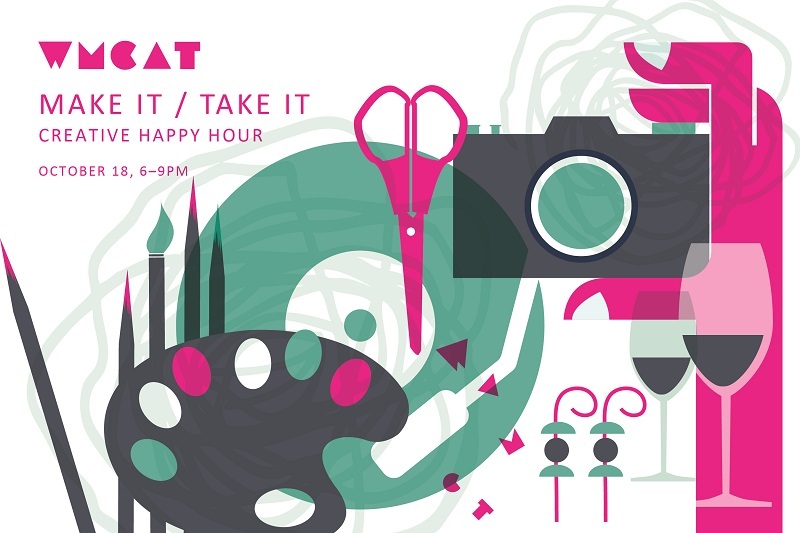 Grab a few friends, make it a date night or gather coworkers and join WMCAT on October 18 from 6-9pm at the new location (614 First St. NW) on the Westside for this creative happy hour experience. Tickets are only $35 and include appetizers, one drink ticket and all activities. Purchase tickets today at wmcat.org/makeittakeit or through the event on Facebook. Sponsorships are also available for the event and can be coordinated by calling Megan Lorenz at 616-454-7004. Join WMCAT on October 18 for a night of fun, creative experiences while supporting a culture of opportunity in West Michigan.